COLD HARDINESS: Should be good to about 15 degrees without too many worries. 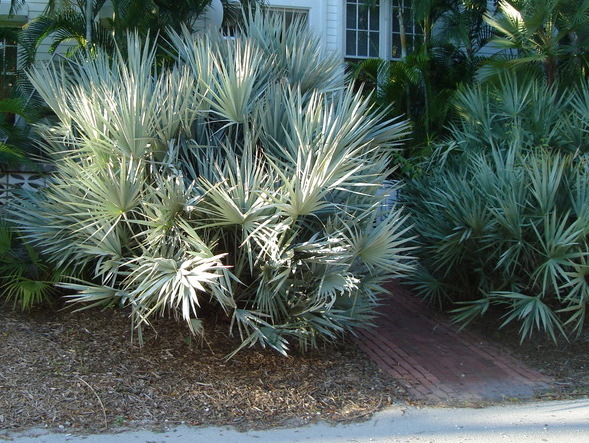 Plant this one in a really well drained, raised bed.. provide Saw palmetto with a good bit of sunlight and it should do fine in zone 8a or above. 3 - 6 feet tall. It forms multiple trunks, each one having from 15-20 leaves on it. 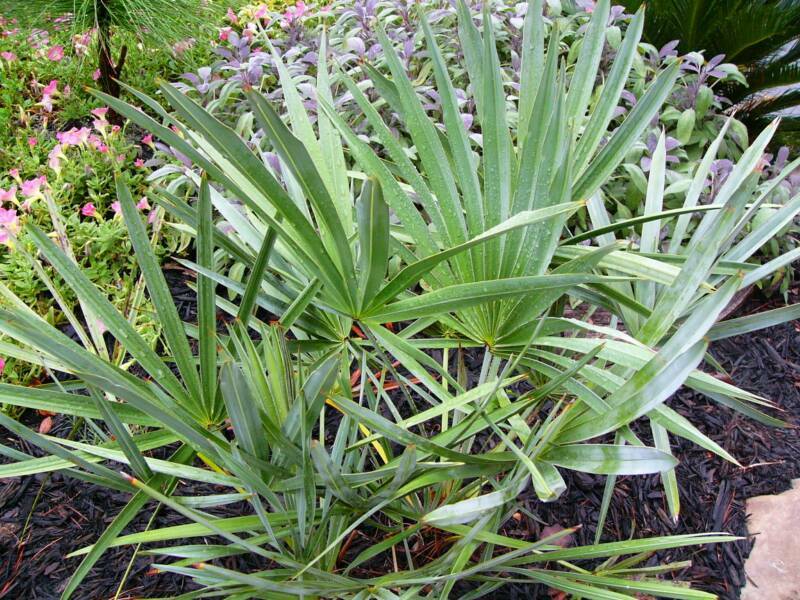 Saw palmetto will grow in a varieties of soil, but seems to like things a little on the sandy side. It comes in a green and silver form, as well as blue, the latter usually being the hardest to find in the nursery trade. Serenoa repens is generally used as a groundcover or understory plant due to it's short trunk size, but nice, big, mature clumps are plenty powerful enough to stand alone in the landscape.